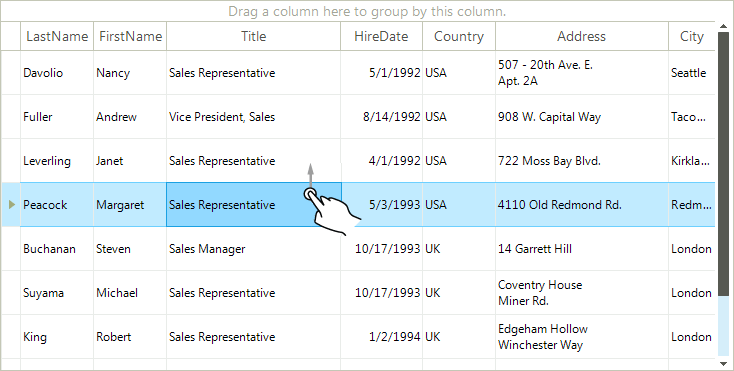 To scroll the control simply drag the whole control to the desired location (left, right, up, down). 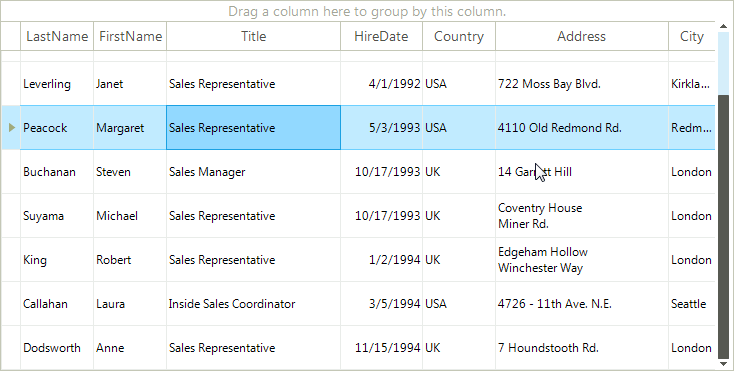 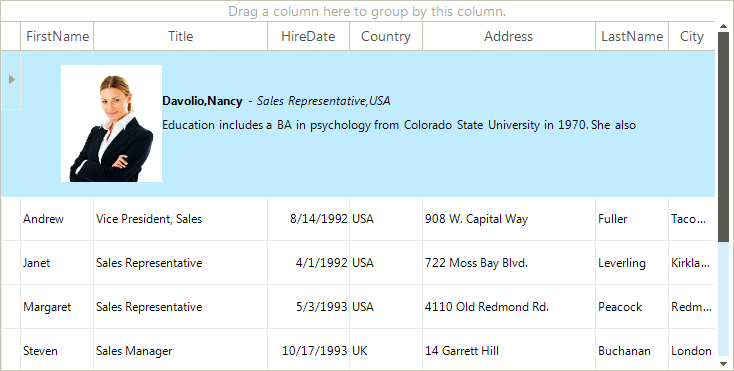 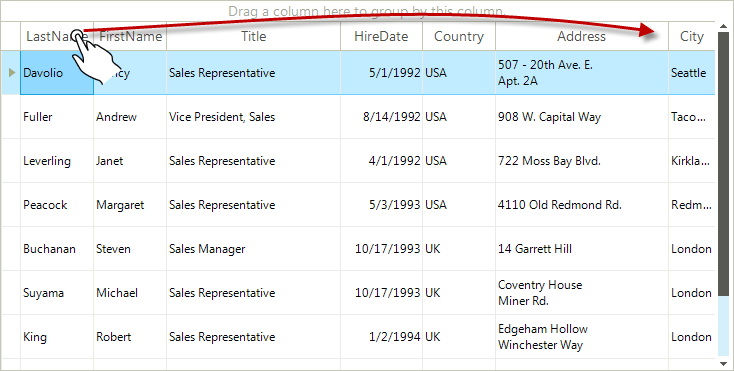 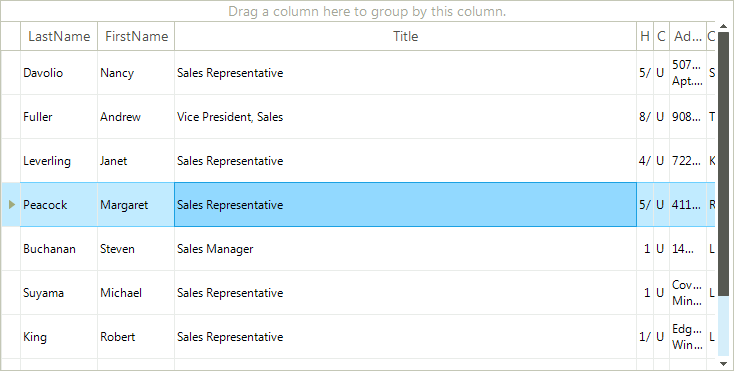 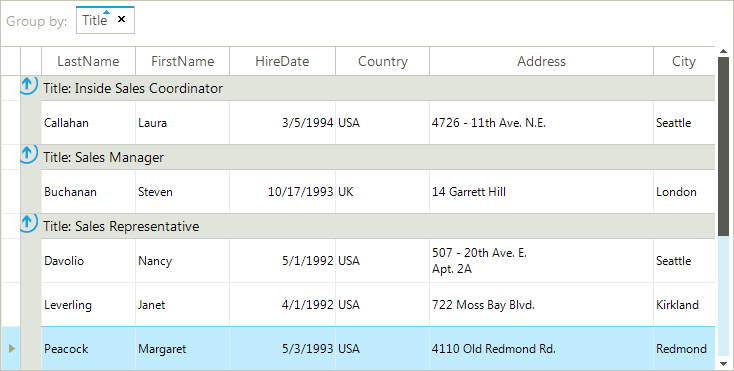 To group the grid according to some column, just drag the desired column title to the "Drag a column here to group by this column" section above the header area. 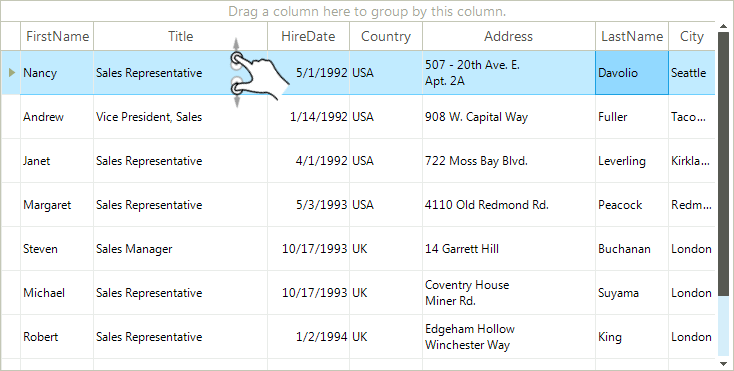 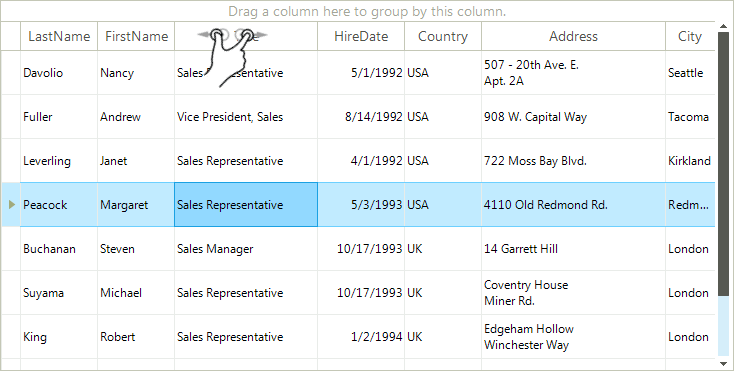 Resizing the columns is achieved by the zoom gesture applied to the desired column title. 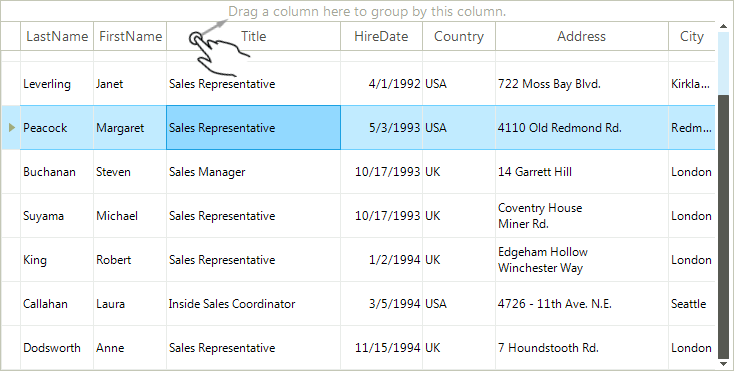 Resizing the row is achieved by the zoom gesture applied to the desired row.